The Momentive Sand Plant was one of seven plants at one point in McCulloch County. If you follow State Highway 71 west, it ends in Brady, a town of about 6,000 people in McCulloch County. The stretch of Hill Country has a unique geology. “Sand goes back a long, long way here in Brady,” Mayor Anthony Groves says. 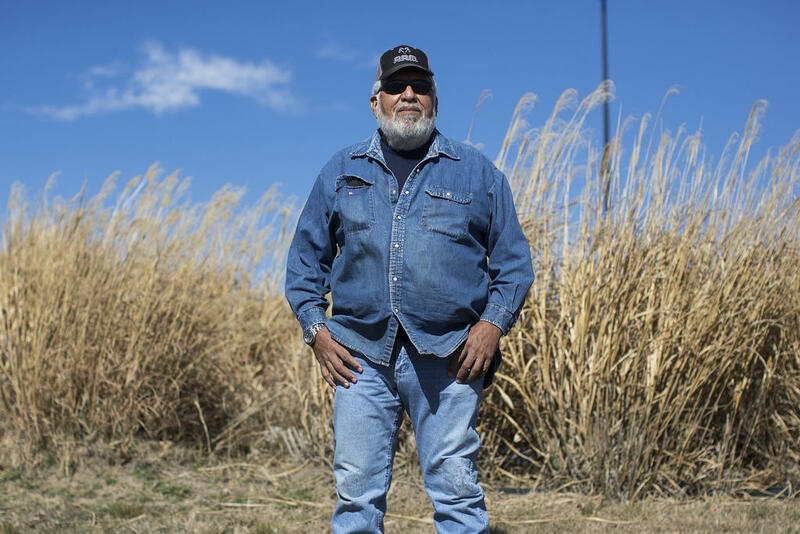 "I had cousins that worked in the sand plant in the '50s and '60s timeframe, so sand plants have been here for a long, long time." Brady Mayor Anthony Groves says a lot of residents' incomes were tied to the sand mines. The sand here has a nickname in the oil industry: Brady Brown. It’s had many uses over the years, but mining operations were turned up a few notches when fracking came into vogue. Sand — good sand — is an essential ingredient for the technique. 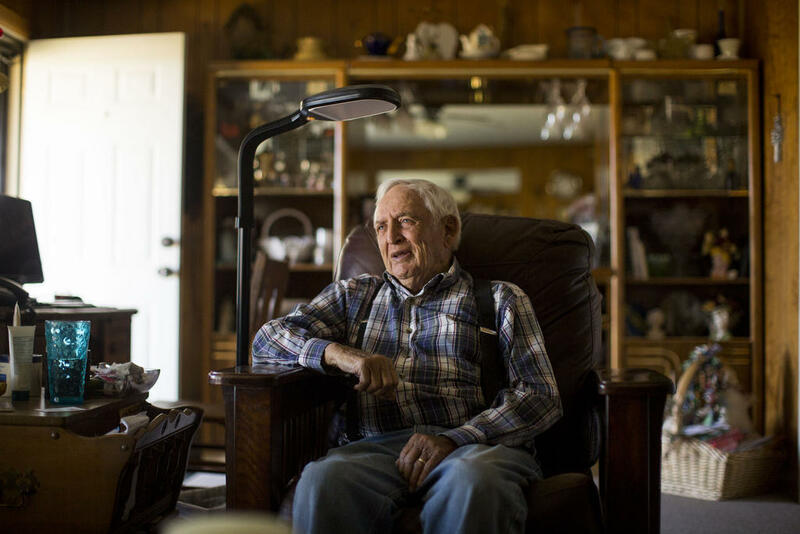 “Some people looked at Brady as a mining town, or McCulloch County as a mining county, because of so much of the central steady part of the income came from the sand mines,” Groves says. The success of fracking — and drillers’ thirst for sand — brought bigger, international mining operations to Brady. Some bought existing mines. Some started new ones. Most bought up neighboring ranchland and deer leases for expansion. Tiny McCulloch County was eventually home to seven sand plants. Aguirre has lived in and around Brady for most of his life. He spent the last 21 years running heavy equipment in a sand mine for Unimin, which recently changed its name to Covia. A few weeks before Thanksgiving, Aguirre got the news that he wouldn’t be working there anymore. 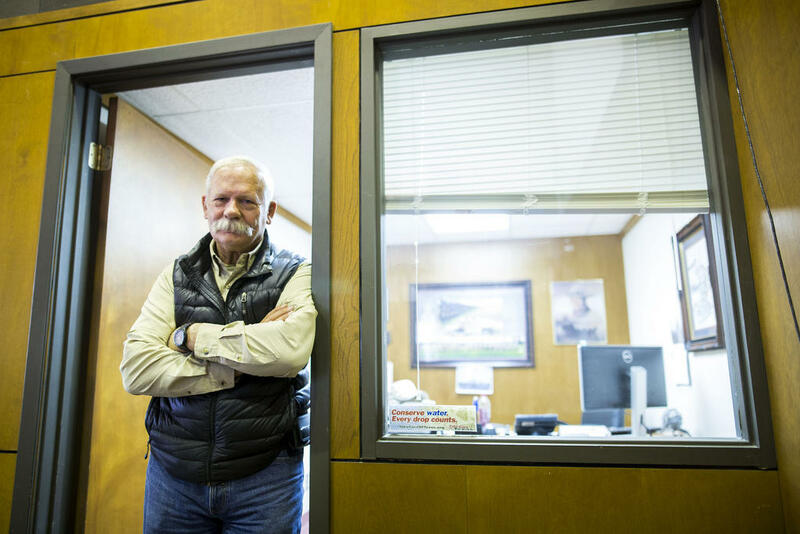 Arturo Aguirre was laid off from his job at a sand plant. At 62, he's unsure what to do next. It was terrible news for the workers, of course. But it was just the beginning of a wave that would hit the rest of the county’s mines. The sand in the Brady area was deposited millions of years ago. It’s coarse and difficult to crush. That’s important in fracking, which uses sand to fill wells and keep them open after shale has been broken to reach oil. “Crush strength is definitely one of the biggest factors, because if it’s not strong enough, it’s not going to hold those cracks open,” says Brent Elliott, a research associate with the University of Texas Bureau of Economic Geology. Brady Sand was deposited millions of years ago. It's coarse and difficult to crush. For years, Brady Brown was the industry standard. But then oil companies developed ways to use — geologically speaking — finer, younger sand. With oil supplies up and prices down, companies are trying to figure out how to squeeze profits where they can: Reducing transportation costs lowers other costs. No longer reliant on Brady Brown, the sand-mining operations are moving west to be closer to oil operations. Some of the sand companies are offering the Brady workers similar jobs out west, but whether they can leave depends on their individual situations. Aguirre cannot. He’s 62 years old, three years short of the retirement he planned. His wife works in Brady, and he has elderly family members who need his help. With his severance ending, Aguirre's not sure what’s next. Carol Henderson says she was happy when her husband, L.D., got a job at a Brady sand plant, because it provided stability. Carol Henderson lives just outside Brady with her husband of 57 years, L.D. They have a small ranch off Highway 71 in Voca, next to a deposit of Brady Brown. L.D. was born and raised in Voca, and when the sand mine opened in Brady, he was there. “Well, L.D. 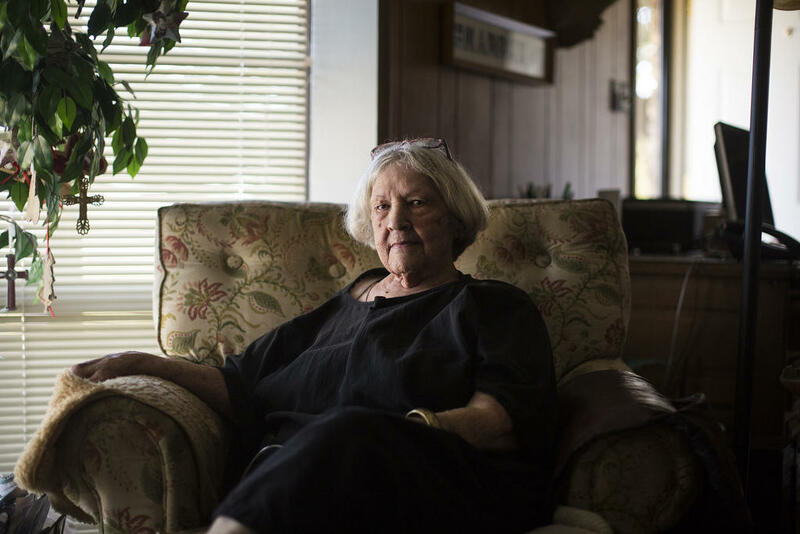 went to work for one of them in 1958, and I was really happy about it," Carol says. L.D. had just been laid off. Carol was hoping for something a little more sustainable, and the sand mine provided it. He had steady employment for 36 years, a pension, health care. 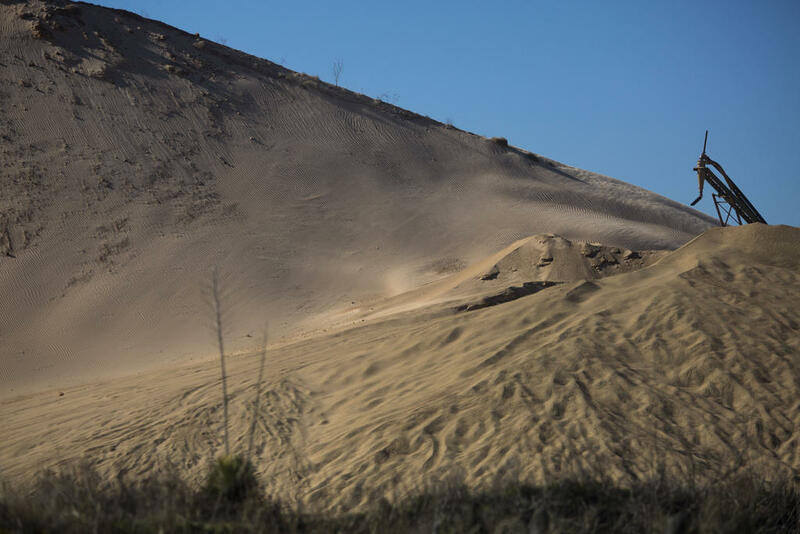 With the sand mines closing, what's to come of the plants and the Brady Brown left behind? “They’re supposed to fill them back up,” Carol says. "Leave them like they found them." L.D. Henderson worked at a Brady sand plant for 36 years. "They won’t now,” L.D. says. "They say they’ll never fill them up now. At one time, I thought by law, they had to fill them up and plant trees or something. But then a fella that worked for the sand plant said that’s no longer the case." "So, that’ll just be a hole in the ground,” Carol says. Two months after the first mines began closing, rumors and hearsay are all over town. What the mayor does know is that about 15 percent of the households in Brady are hurting right now. There may be ripple effects from the closings down the line. People have less to spend. Other mine-related businesses could close. People may need to leave to find new jobs. And there’s always the chance that someday there’s a new use for that Brady Brown sand.